FEA-Opt Technology Co. Ltd. is an international CAE software and service provider based at Taiwan. With the unique Direct Global Search approach, SmartDO focuses on the Smart Design Optimization technology and provides the Smart Computing platform. FEA-Opt Technology brings product innovation as well as design process integration to the customers around the world. 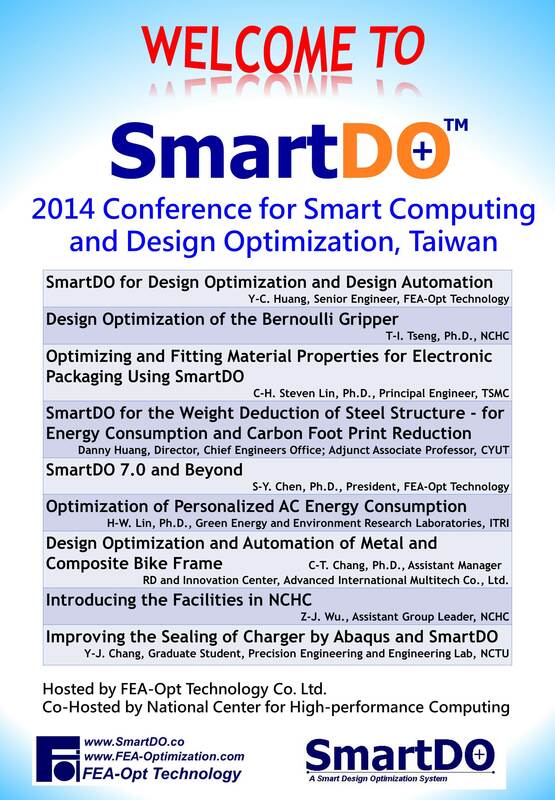 For more details about SmartDO and FEA-Opt Technology, please visitwww.SmartDO.co.